On August 15, 2015 West End Kids celebrated 20 years! West End Kids has provided some of the friendliest, most efficient shopping for children's outerwear and outdoor accessories in Ottawa, Ontario, Canada. As of the Fall of 2007, we also offer our high-quality merchandise and customer service throughout Canada, via our online store. Our brand-name items include Columbia, Helly Hansen, The North Face, Marmot, Jupa, Spyder, Hot Chilly's, Smartwool, Icebreaker, Sorel, Baffin, Bogs, Keen and more. Our selection includes everything your child needs, from U.V. swimsuits, sandals and casual wear for the summer, to a large variety of snowsuits, boots and a full range of accessories for the winter. Gordie and Sheba Schmidt have planted a seed and watched it grow. They have enjoyed being part of the ongoing expansion of beautiful Westboro Villiage, as well as the launch of WEK online. Gordie and Sheba love watching the countless children their store helps clothe as they grow with the community. Under their guidance, WEK has maintained its reputation for high-quality kids clothes, efficient shopping, and expert customer service. In 2011 their son, Benjamin, joined the business. Ben, who is an Interactive Multimedia Developer, has brought his experience and actively focuses on their website. 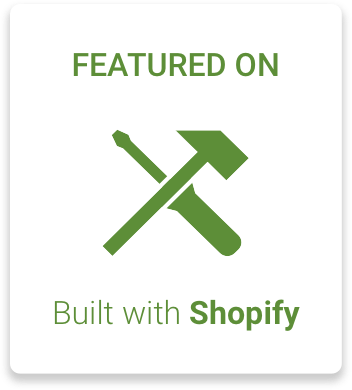 In June 2014, www.westendkids.ca was updated and is now powered by Shopify, an Ottawa based, international Internet business. Along with maintaining our excellence online, Ben has taken on the role as Manager of West End Kids. Ben continues to maintain the high level of service and commitment that West End Kids has offered for over 23 years. Our complete line of merchandise is found in the Westboro Village store. Located right in the heart of ever expanding Westboro, our modestly sized store is filled to the brim with an array of high quality outerwear that appeals to practical-minded parents and fashion-oriented kids alike. In-store staff is well trained and knowledgeable about more than the brand names they sell. They are also expert in fitting kids clothing - including husky and slim fits - and they focus on offering an efficient and successful shopping experience. Our store in Westboro Village, Ottawa, is a retail outlet for childrens outerwear. Our in-store merchandise includes thousands of products from name-brand manufacturers, from newborns to teens and every size in between. We also accept special orders and will do everything we can to fit hard-to-fit kids and kids with special needs. If you can't bring your child into the store for a custom fitting, email us photos, measurements and descriptions: info@westendkids.ca. Our online store currently stocks our full line of kids outerwear, including footwear and accessories. The online store delivers the same level of customer service through easy navigation/search and secure online shopping. In addition to manufacturers' description of the clothing and accessories. On August 15, 2015 West End Kids celebrated 20 years in business! We were honored with the presence of our Ottawa Mayor Jim Watson, who presented a certificate of accomplishment!